Run Your IT Business with MSP Manager - Soft Solutions Ltd. These days an RMM product is only as good as the Professional Services Automation tool its connected to. The benefits for you in having a tight integration between these two solutions can save you, the MSP, time and money while improving the quality of your service. SolarWinds Remote Monitoring & Management has always had solid integrations with the leading PSA products, but now through the recent integration with SolarWinds MSP Manager this has been taken even further. With both solutions being developed together by SolarWinds MSP, you can now provide unparalleled service to your customers. MSP Manager is powerful enough to run your IT business, but easy enough to use every day – organize support tickets, customer information, passwords, schedules and more. For IT business owners you can see services revenue in real-time and export invoices directly to your accounting software. Mobile Apps: Create and manage tickets easily with the MSP Manager Mobile apps which give you the ability to retrieve customer info, track time and get detailed system information right on your phone. Customer Portal: An easy place for end customers to create tickets and view their status. Can also be accessed via a mobile app. Scheduling: Create and manage staff appointments and see what your team is doing at all times. Billing: Easily manage billing and invoices. Integrates with Xero, Quickbooks and Quickbooks Online. MSP Manager can be activated within SolarWinds Remote Monitoring & Management now to give you immediate access to all these features. Using another solution and want to compare pricing? Contact the Soft Solutions SolarWinds MSP Team now for an obligation free estimate of SolarWinds Remote Monitoring & Management and MSP Manager, or if you already impressed click here to request a trial. Click here to go back to our blog. How do you track down a lost or stolen mobile device? 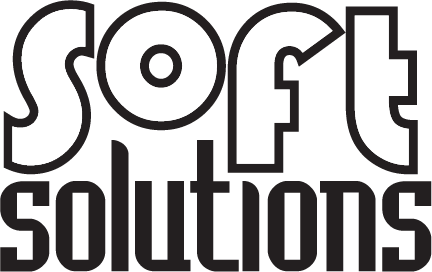 Established in 1995, Soft Solutions is a New Zealand owned and operated distributor of computer products, focussed on challenger solutions that add value for our resellers and their customers.